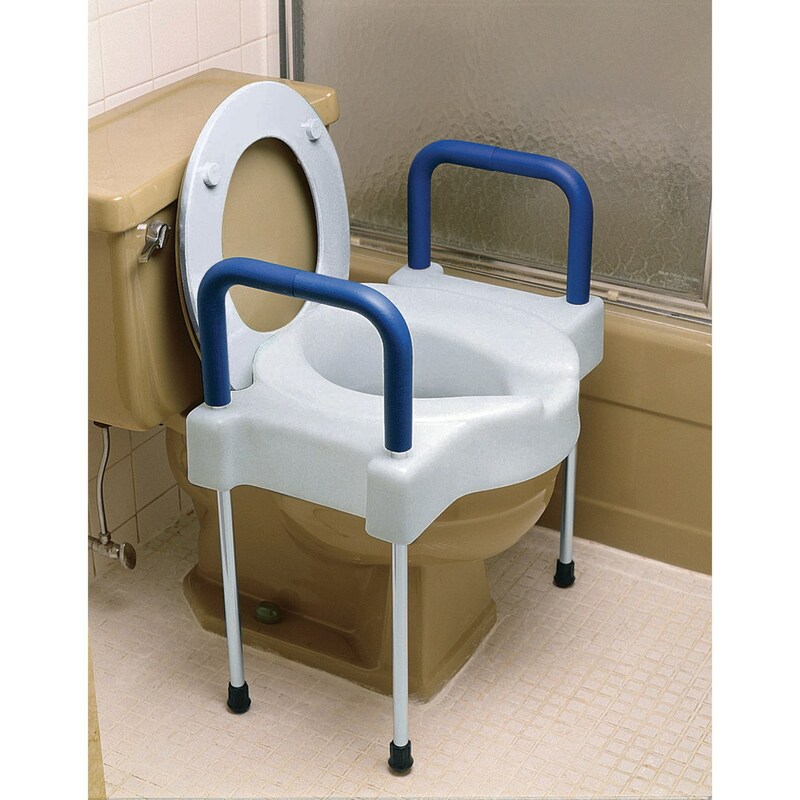 The Tall-Ette Raised Toilet Seat w/Arms and Legs features contoured soft foam armrests to assist the user in sitting down or rising from the seat. Elevated seat slides up and down the leg frames to adjust to any toilet height, ensuring a perfect fit. Add 4" to the toilet height and eliminate the need for an added toilet seat frame. Seat width is 22-1/2". Width between arms is 18". Steel Frame with bolt-down bracket. Supports up to 600 lbs. Weighs 10 lbs.